Editor's Note: Fresh from a November 2017 refurbishment, Arcadia now boasts a spruced-up Aquarius Pool and Bar and new carpet and furniture throughout. Suites received new sofa beds, lamps, throws, headboards, curtains and balcony doors. Arcadia has an interesting background and at the end of 2013 sailed into a new chapter of its life thanks to a £34 million refit, which transformed different areas of the vessel and created 24 new cabins on an underused section of the Sun Deck. Other changes included a new-look shopping area, top-deck bar and late-night dancing venue, plus the introduction of the Asian-themed restaurant East. Unlike P&O's purpose-built vessels, Arcadia was originally ordered in 2000 by Holland America Line, destined to become the fifth Vista-class ship. 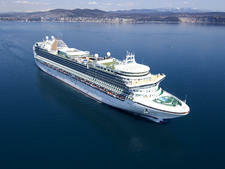 Then it was allocated to Cunard as the next Queen Victoria, before being launched in 2005 under the P&O brand. (Ship aficionados can spot tell-tale signs of its previously intended guise, such as an adapted Cunard-style funnel). The atrium is also smaller, and not quite the heart of the ship as it is on its sister vessels. 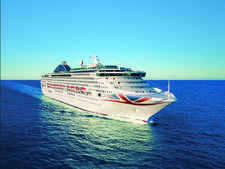 However, that really is a very small point as Arcadia offers a raft of attractive facilities including excellent entertainment and top-notch speciality dining to appeal to P&O's mature and predominantly British passengers who rate style, ambience and a relaxed atmosphere over gimmicks and adrenaline-fuelled activities. 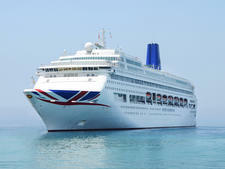 Arcadia is one of the line's three adult-only vessels and became one of the first P&O ships to offer weddings because its Bermudian registry allows captains to marry couples at sea. Based in Southampton and sailing on a variety of itineraries from short taster cruises to round-the-world voyages, the bright (but tasteful) refit brings Arcadia in line with the fleet's newer vessels. 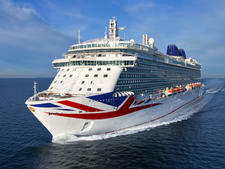 The majority of passengers are British, and typically a mature, over-60s crowd, many of whom are fiercely loyal to P&O and have sailed with the line for years -- often decades. This demographic changes dramatically on mini-cruises, which attract lively groups of families and friends celebrating birthdays, anniversaries and other occasions. By day the atmosphere is easygoing, and most passengers opt for casual shirts, shorts, trousers and beachwear. From 6 p.m. the dress code is formal or "evening casual" in bars and restaurants. There are usually four formal nights on two-week cruises (usually on sea days) and for cruises over seven nights there is a black and white themed ball. 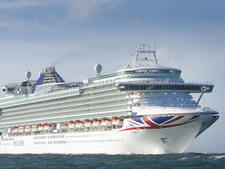 P&O cruisers love to dress up and even on three-night itineraries you can expect one formal night. P&O defines evening casual as separates or dresses for ladies and open-neck polo shirts and casual trousers (not shorts) for men. Smart dark denim is also fine but not trainers, football shirts or tracksuits and passengers typically err towards the smarter side of casual. Black tie nights are glamorous affairs, with passengers keen to go with the flow rather than buck the trend. If you want to break out a full-length ball gown on formal evenings you won't look out of place. For men, dinner jackets or tuxedos are the norm, but a dark lounge or business suit and tie can be worn as an alternative. A £7 per person, per day, gratuity is automatically added to your bill, which is distributed to staff in the main restaurant (waiter, assistant waiter and head waiter) and your cabin steward. Additional tips are discretionary. It is not possible to pre-pay tips prior to boarding the ship; however pre-purchased onboard credit can be used to cover service charges. 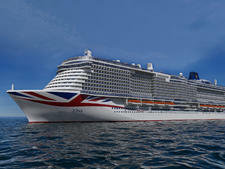 The onboard currency is British pound sterling (GBP). 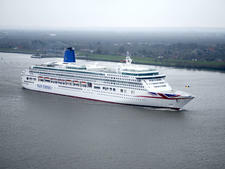 Aurora is one of the oldest ships in the P&O Cruises fleet (launched in 2000), and had a 26 million pound refurbishment at the end of 2014 which included the line's new livery.